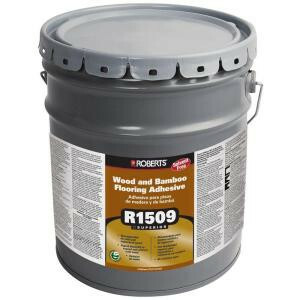 Roberts R1509 is a 100% solids moisture cure urethane adhesive glue formulated for the installation of solid, engineered and parquet wood flooring. It is also recommended for bamboo flooring. Roberts R1509 is a solvent free adhesive which meets the Low VOC requirements of the south coast air quality management district.